Is there anything better than a finely crafted cocktail? We don't think so! 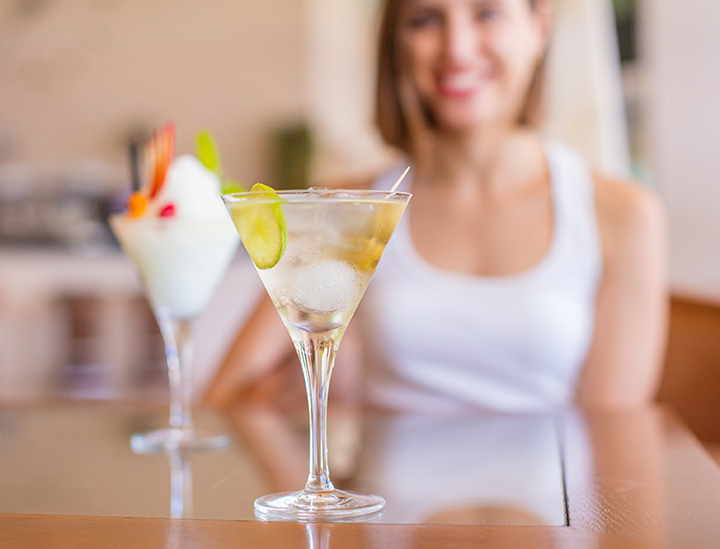 Whether you're looking for a place for a girls' night out, a romantic date, or just a place to unwind, you're sure to find what you're looking for at these top cocktail bars in Mississippi! Located in Jackson's historic Fairview Inn, the Library Lounge is actually located in the building's original library, built in 1908. The library's extensive collection includes Civil War books and works from Mississippi's most celebrated authors. Grab a book, settle down in front of the fireplace, and sip a handcrafted cocktail. Sounds like heaven! The Apothecary is designed to make you feel like you're in an old-fashioned speakeasy. The Apothecary is located in the back of Brent's Drugs, where a curtain and another door take you into the hidden bar. Here, you're sure to find a drink for whatever ails you. Their craft cocktail menu is one of the most impressive in the state! Branch Cocktail Bar on Hattiesburg's busy Hardy Street is a venture of restaurateur and author Robert St. James. With that kind of star power behind it, it's no wonder this gem was named in Southern Living as one of "The South's Top 100 Bars." Next time you're in town, stop by and try one of their house cocktails, like the Fake Empire, which features Irish whiskey, absinthe, and Pampelmousse. The Mahogany Bar is another of Robert St. James' enterprises, and if you visit one, you'll see why we had to include both on this list! Mahogany Bar focuses more on beer and whiskey, but their handcrafted cocktails are nothing short of impressive. Try the Old Kinderhook, made with bacon-infused bourbon, Fernet Branca, bitters, and sugar. The Guest Room is an upscale cocktail bar in Starkville, but if you haven't seen it, don't worry. It's another speakeasy style venue, and this time you have to go down an alley and into the basement of Restaurant Tyler. It's worth the find, though—choose one of their creative cocktails or, if tradition is more your style, go with a perfectly-executed classic. When you visit 10 South Rooftop in Vicksburg, you'll find a relaxed, comfortable atmosphere, great food, and incredible views of the Yazoo River. It's the perfect place to unwind and enjoy a few of 10 South's signature drinks. You can't go wrong with any of the selections, but 10 South is known to have an excellent Bloody Mary! Shaggy's originally opened in 2007, and the bright red building soon drew a crowd. Today, there are three locations across the Mississippi Coast, and they've even opened a location in Pensacola! Shaggy's is a laid-back oceanfront spot with great food, friendly bartenders, and fun, beachy cocktails that are perfect after a day on the water. The Wine Bar is a cozy spot serving up small plates and drinks on Historic Oxford Square. While of course this is a great place to get a glass of wine, it's also known for having great cocktails! The Wine Bar is primarily a restaurant, but find a seat at the bar and enjoy a drink made from some of the finest liquors available. Mel's Place is an unassuming little place in North Mississippi. It's a great place to meet up with a group of friends for drinks, food, and an all-around good time. Mel's Place isn't the fanciest location on our list, but the bartenders mix up a mean drink and the atmosphere is warm and welcoming. It's everything you need!